It's all things green and leprechauns in my speech room right now, but guess what else is in March this year? Easter! 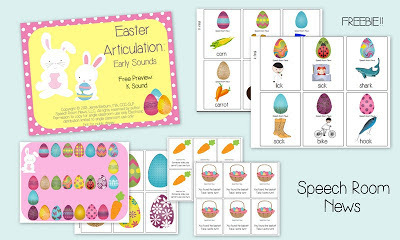 Half way through the month we will switch over to all thing eggs and bunnies so I've been printing and laminating these cute little eggs for my articulation groups. Two ways to play are included in the full sets. You can grab the /k/ version for free! 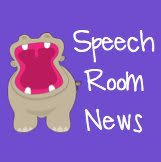 Just head over to Speech Room News to download! Love these Easter cards! So cute!